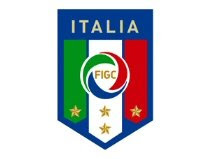 The Italian Football Federation (FIGC) has announced Italy will launch a bid to host the 2016 UEFA European Championship finals. FIGC President Giancarlo Abete made the announcement following a Federal Council meeting in Rome and added they would be presenting a statement of interest to European football's governing body UEFA later this week. "Italy will present its declaration of interest for the 2016 UEFA European Championships by (the deadline of) March 9," Abete told a news conference in the Italian capital. Abete said the decision had been taken after consultations with the Italian government and the Italian Olympic Committee (CONI). An Italian bid to host the 2012 edition of the tournament was beaten by a joint bid from Poland and Ukraine in April 2007, with domestic fan violence and the Calciopoli scandal at the time reported to be partly to blame. "Italy is interested in hosting this tournament because we cannot pull out of the challenge in hosting big international events and because we must start virtuous circles that give hope to our football," Abete told RAI state radio station earlier. The country has already held the European Championship finals twice, in 1968 and 1980, and also hosted the FIFA World Cup finals in both 1934 and 1990. France and Turkey are also in contention, while Norway and Sweden are looking at a joint bid. However, a joint proposal from Scotland and Wales has been withdrawn due to economic reasons. With the tournament expanding to 24 teams for the first time in 2016, UEFA have insisted that the host(s) have at least nine stadia for the competition. Candidates have until Monday 9 March to signal their intention to bid. The final vote by the UEFA Executive Committee as to who hosts the finals will be taken on May 28, 2010. > Any of UEFA's 53 member associations interested in bidding must signal their intention to UEFA by Monday 9 March. UEFA may then decide to create a short list of three to four candidates. > UEFA will then distribute the tournament requirements and the bid dossier template, which must be completed and returned to UEFA by Monday 15 February, 2010. > Official site visits to the various bidders will be made during March 2010. The UEFA administration and experts will then examine the official bid dossiers and prepare a written report on each one. > The reports will be passed to UEFA's National Team Competitions Committee, with a final decision expected by the UEFA Executive Committee on Friday 28 May, 2010.